Music Theory Beginner A Workbook includes 12 Fun and Engaging Lessons, Reviews, Sight Reading & Ear Training Games and more! 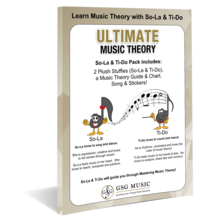 So-La & Ti-Do will guide you through Mastering Music Theory! 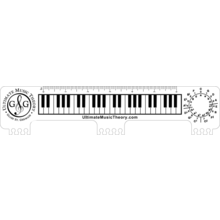 Music Theory Beginner A has been added successfully to your wishlist. Music Theory Beginner A is the first workbook of the ABC Series. These workbooks provide young students (ages 6 - 10) with a solid foundation in music theory with practical applications. Fun and Engaging with 12 Lessons, Reviews and Sight Reading & Ear Training Games (Imagine, Compose, Explore). Music Theory Beginner A Workbook (88 pages) features these concepts and more! BONUS - Music Theory A - Guide and Chart! 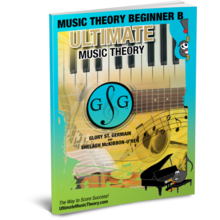 Music Theory Beginner B has been added successfully to your wishlist.